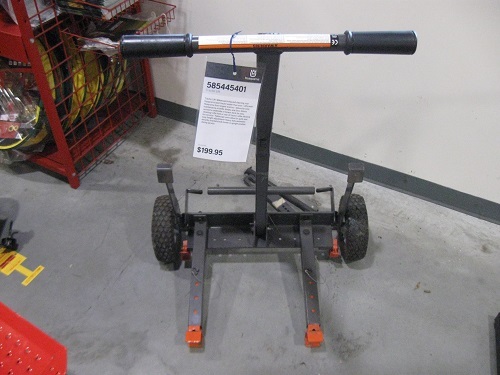 Morrison’s Power Equipment offers closeouts and used equipment as well. Each piece of used equipment comes with a 90 day home owner warranty and 30 day commercial warranty. When Morrison’s Power Equipment receives a used piece of equipment our technicians fully refurbish it restoring that piece of equipment to factory specifications. Used equipment is great for those people on a budget. Makes servicing and cleaning your Husqvarna lawn tractor easier than ever. 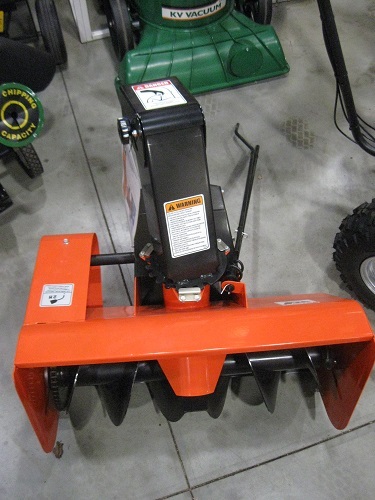 • Lifts most Husqvarna front engine tractors • Allows for easy maintenance on belts, blades and tires • Allows access to underside of mower deck for easy cleaning • Lifts front or rear of tractor while allowing tire service • Telescopic arms allow for quick and easy height adjustment • Heavy duty automatic security brackets lock mower in upright position during service.